The mid-price of this gel memory foam should attract a lot of consumers since it is from a well-known name brand. Coming in a variety of sizes the 12 inches of this Classic brands gel memory foam is luxurious and hits all of the important notes when deciding on a purchase. Using 3 layers the company did a good job of letting the design maximize itself for positive airflow while the customer sleeps. This means they won’t wake up in a pool of their own sweat, as air is regulated quite well in this mattress. This is the mattress only, and the base/foundation is not included in the total purchase. Along with the cooling effects of the gel, customers will get that wonderful plush feel that can only come with the infusion of gel and memory foam. The mattress is firm but is meant for buyers who air on the side of liking their mattress to feel like a cloud and not a brick. The mattress is compressed and rolled for your convenience and can be set up in as little as an hour after reading the included directions. Classic Brands has been around for a while, and they hold their headquarters in Jessup, MD. Several brick and mortar stores sell their products, and on their website they even have an easy to use store locator. Granted they aren’t as big as Serta and not as established as Brentwood Homes, they are still a nice choice for the buyer that wants to try something different at a bargain of a price. The company has a very professional presence on the web and they are very straightforward with their offerings, most notably on their website where social media and blog posting is nil. That shouldn’t scare away potential buyers, even with the last press release being sometime in 2014. Founded in 1971, the company started out with waterbed and waterbed products. They’re actually new to the memory foam industry, and didn’t start producing them until 2002. A fairly young company in that department, they still have produced winners that no doubt take after their previous bedding products. Their 25 year limited warranty is as good as gold due to their previous standing in the mattress community, and that alone should ease some minds that are not familiar with the company and what they have to offer. They have very good quality memory foam, and there is no drop off at all if you were to even pay a couple of hundred more for another brand. Buyers get a nice thick 3 layers of gel memory foam that comes out to 12 inches total, with the top layer being one of the most comfortable you will ever feel in your lifetime. With 2 hd support layers customers will be right at home even in an environment where it may be a little heated. There is a lot of product for very little price, with the queen size being offered being one of the best deals in the market currently. Available sizes besides queen are twin, twin xl, full size, king size and California King. The dimensions of the queen are 80x60x12 and the weight is a nice hefty 92 pounds, all of it comfortably and soft gel memory foam. As if that weren’t enough, the cover is a stretch knit with waterfall edge that actually works side by side with the gel and its contouring properties to give consumers the best overall experience possible in a gel memory foam mattress. One can’t go long without mentioning the 25 year limited warranty offered by the company, especially considering they are still young to the memory foam game. It’s a nice guarantee that shows confidence in the product and that they are willing to stand behind it no matter what. That’s in stark contrast to some other younger companies that offer shorter warranties not befitting of a mattress maker. An included stretch knit cover works rather well when paired with the gel memory foam. Covers with some of these memory foam mattresses are thrown in and take away from the actual performance of the memory foam it is supposed to be protecting. In this case the cover enhances the best features of the gel memory foam and even goes so far as to be attractive in design. So a beautiful and functional cover all in one really sets the bar for what people should expect when they purchase from other manufacturers that may have less than stellar covers. Last but not least it’s important to note just how good the gel memory foam feels on this mattress. It’s soft to the touch and goes right back to its original shape in mere seconds after your body is removed. This product is best compared to Sleep Innovations Gel Memory Foam Mattress 14 inch. It does a lot of the things that the Sleep Innovations mattress didn’t do right, and the 12 inches from the Classic Brands feels better than the 14 provided by the rival company, probably due to a better support layer. The warranty is also 15 years longer than what Sleep Innovations provides and the company is more reliable. If deciding on this product and the Classic Brands, then the choice is pretty obvious from this point of view. It’s hard to trust young memory foam companies, but in this case an exception can be made due to the excellence of the product and of the company. 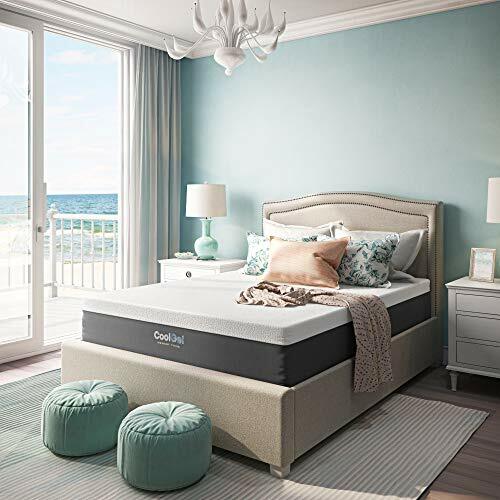 Classic Brands is a very reliable company that produces top quality products, and this gel memory foam mattress is a shining example of how to do things right. A top class warranty with great customer service are only a few of the things that consumers can look forward to when shopping from this brand. No doubt the company will continue to grow as their memory foam products expand. No big changes to the price since release, as it has stayed steady at about the mid-price point. There have been drops of as much as $20 dollars throughout the year, but nothing to warranty going hunting around the internet for. Stock is strong with this mattress in all sizes so it should be available year round, and other than the occasional sale here or there the price will remain largely the same no matter where it is bought from. Pay attention to the King and California King sizes if looking for a sharp drop in price, as buyers may get lucky. Smaller companies are not always a bad thing, and in this case they are great for the industry and provide an innovative flare that others may have to follow. The Classic Brands Cool Gel 12 Inch Gel Memory Foam Mattress is a great bargain in all of its sizes and comes with enough features that just about anyone will be satisfied with the purchase. Although the price doesn’t seem to be going any lower, it is still a monster purchase that will keep everyone in the family sleeping soundly through the night for years to come.